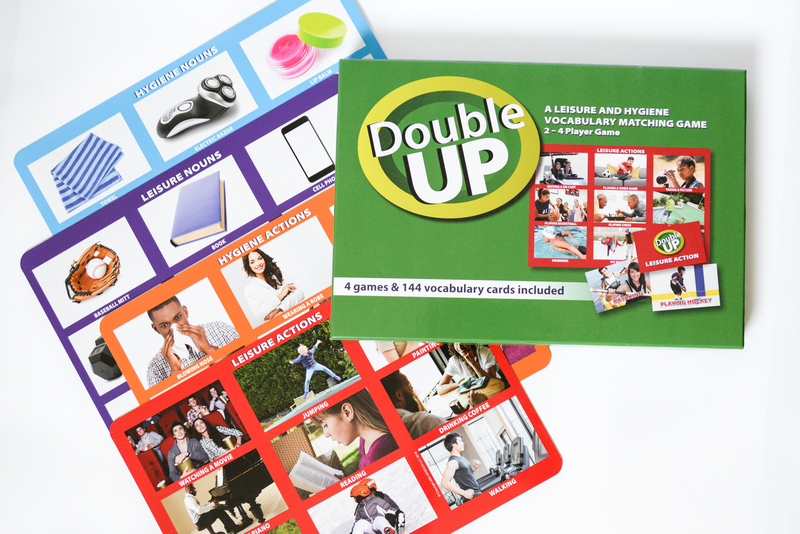 Engaging photos depicting functional leisure nouns, leisure actions, hygiene nouns and hygiene actions make this a functional choice to target vocabulary and leisure skills all at once! 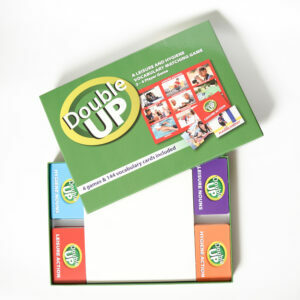 Double up is a 4 person game, but can be played with as few as just 1 player. Students pick a card and match it to the identical picture on their board. If they don’t have that picture, they can pass it to the student who does. Want more of a challenge? Match pictures by association. Use the red leisure action game boards and the purple leisure noun cards. You have a game board with a person playing basketball, you pick the basketball and match it to the action of playing basketball. Each noun has a matching action. A wonderful mixed group, no prep activity!